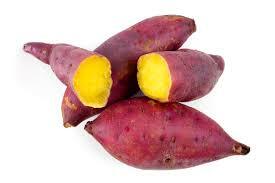 The sweet potato is a super food – protein food that removes cancer cells. The sweet potatoes are tasty, nutritious and really healthy that even NASA wants them for the space mission foods. People even call them super foods since they have many nutrition benefits for their price. They are also praised for the cancer stopping benefits. A century ago, was said that this veggie had a unique protein that even can kill cancer cells. At first this was tested for leukemia in petri dishes and it showed good results. Have you had some today? Well try and incorporate it in your diet this week! - a medium size basket of this costs about N700 and can feed a family of 4 or more. - you can either eat it with egg sauce, vegetable sauce or just stew etc. - because it's very sweet, just a bit more pepper is required in any or the sauces above you choose to eat it with. - a sweet potato meal is quite filling.